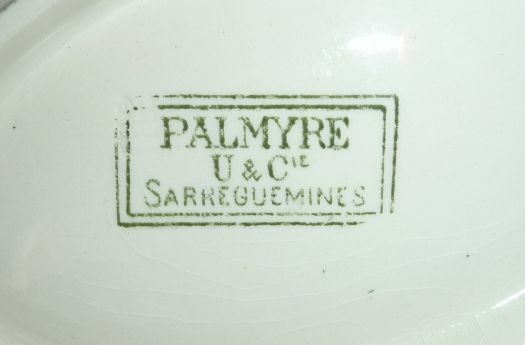 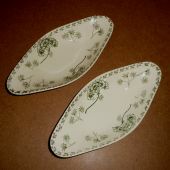 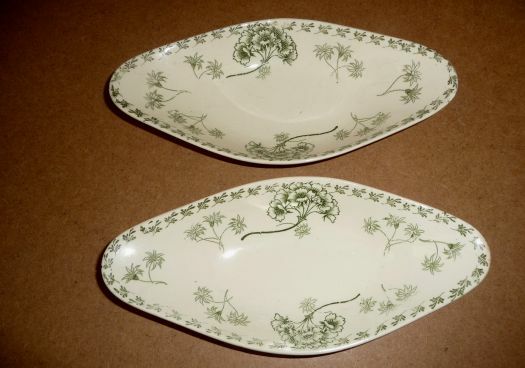 2 green butter-dishes, model "Palmyre" from Sarreguemine's manufacture. 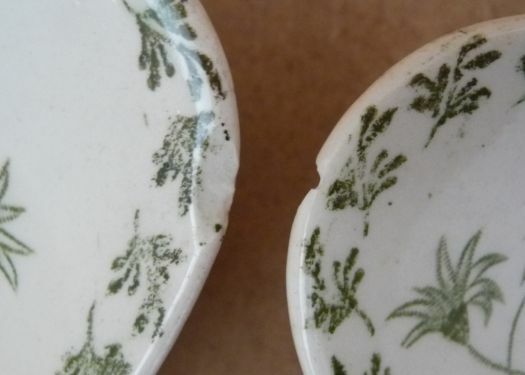 Color and shape are interesting. 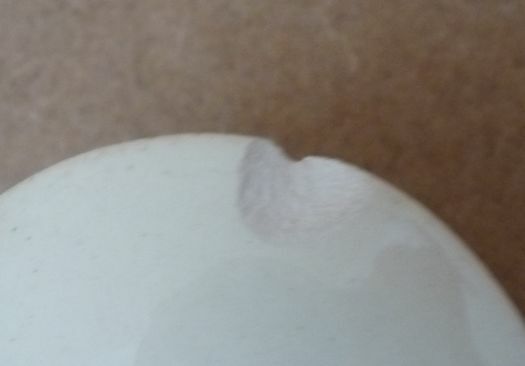 Probably they did not have been often used ; but there is a manufacture's default on one of them, on the edge ; the second has a chip under, noticeable over (please have a look at the 2 last pictures).